We are proud to offer the Highest Noise Reducing Over the Ear MRI Headset offered on the market. 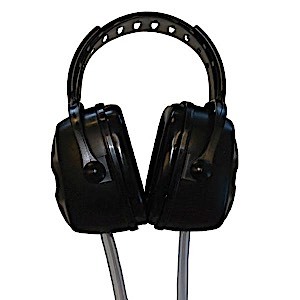 This Headset has received a 29 NRR Noise reduction rating tested on the most rigorous hearing test available- the ANSI 1974. The ANSI 1974 is the only test that gives your a true and accurate noise reading- this test is Mandatory by MRI Manufacturers. Our MRI headset fits comfortably and securely over the ears, providing a full Noise Reduction to patients during their scan. Soft latex-free muffs are comfortable for patients to wear for extended periods of time and may be used with Large Sanitary Covers for easy cleaning.